What do you do with a will when you find one? Wills can reveal a great deal of information that can fuel your genealogy research. Treat each new detail like a clue that will link you to more information. We will use the will of George Epps Tucker (1860-1927) which we have included below to illustrate the many avenues of research that can open when you glean what you can from every detail. The records listed above will help you locate a will if one exists, and they will help you recognize key people and places mentioned in the will. The people and property mentioned in a will are just additional avenues of research which may enable you to uncover a great wealth of information. 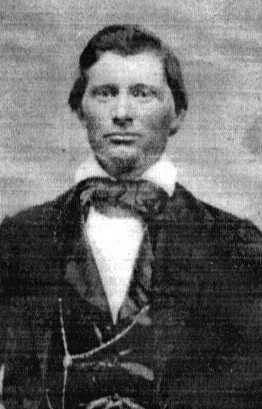 George Epps is the son of George Anderson Tucker (1827-1860). George Epps Tucker had a son (George Anderson Tucker 1882-1932) by an African American woman named Martha Sims Talley (1855-1936) who was enslaved as a child. Martha and George Epps grew up in the household of James Anderson Tucker (1802-1885), grandfather of George Epps, where Martha’s mother, Druscilla Sims, served as his cook. 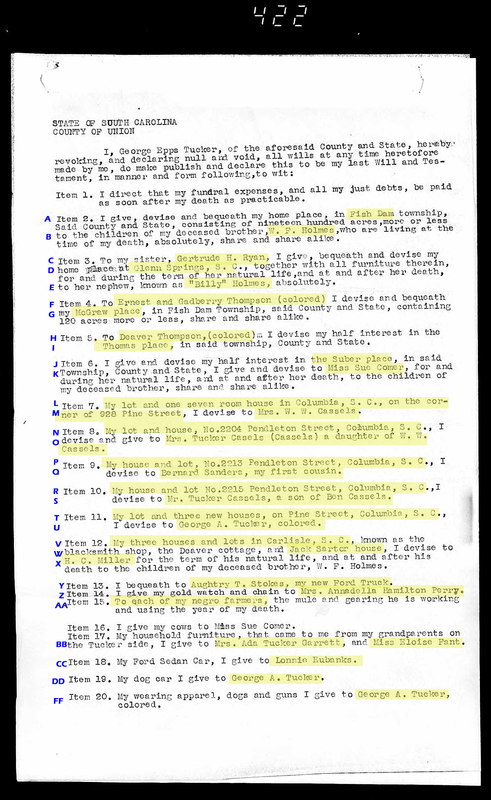 On the death certificate of George Anderson Tucker, George Epps Tucker is listed as his father. Oral history and stories about the close relationship between George Epps and his son which included regular visits support the historical documentation found. When we discovered this will, the details found therein provided a wealth information greatly enhanced by the diligence put forth to research collateral lines. Let’s focus on some of the clues highlighted below and how they relate to the facts we already knew about George Epps Tucker and how the information linked us to more discoveries. 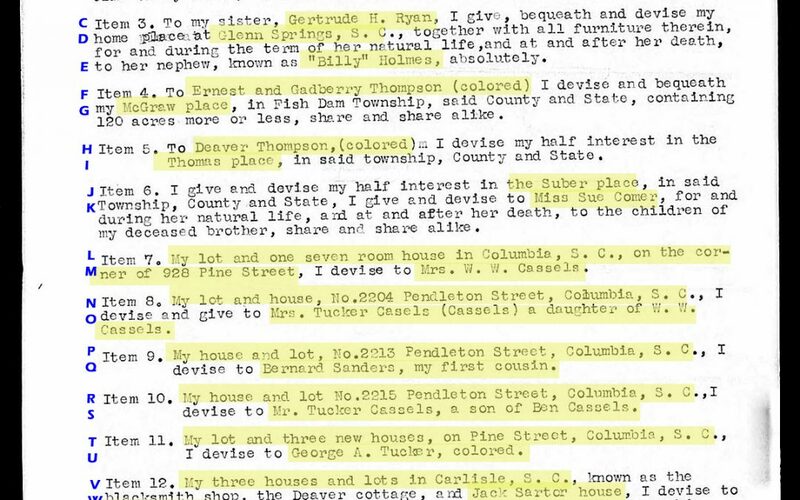 George Epps owned a great deal of property, but we were not sure where his residence was located, so when he refers to his “home place” in Fish Dam which is in Union County it gives us the clarification we needed to know where to look for land deeds. It may be a bit confusing as to how George Epps has a brother with a different surname (W. F. Holmes). 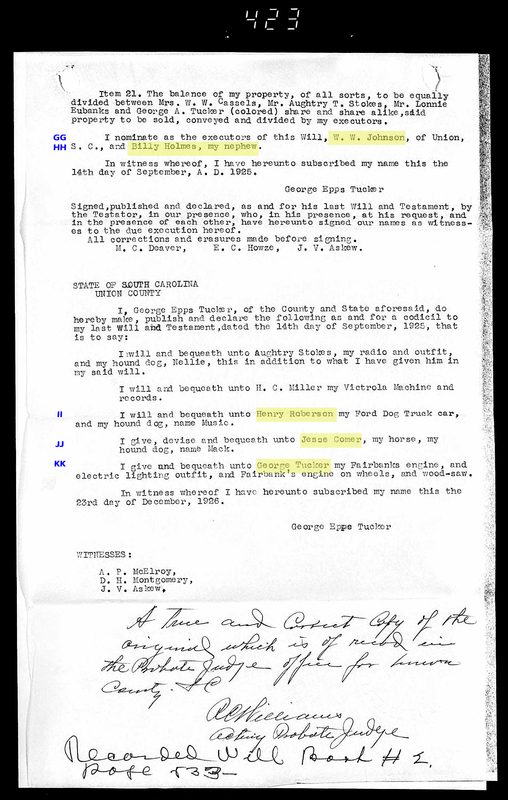 We previously discovered a guardianship record from 1871 in the South Carolina Department of Archives and History where his grandfather, James Anderson Tucker, became his guardian because his father, George Anderson Tucker (d. 1860) and his mother, Ann. passed away (as mentioned in court records). His mother remarried before she passed away, and this is the first clue that we found as to her having another child by her new husband. This is a new discovery as no mention of his sister, Gertrude, was made on any other document. This is a new person to research. George Epps mentions another “home place,” Glen Springs. This is a new property to research. 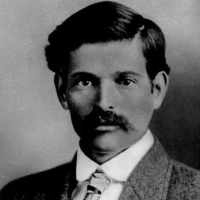 George had a brother, W. F. Holmes, and it appears we have discovered another person to research, “Billy” Holmes, a son of W. F. Holmes. Ernest and Gadberry Thomas are African American persons of interest that were never mentioned before. Every other mention of people of color in wills by this author has signified a familial relationship. It must be determined if this entry follows suit or not. McGrew place in Fish Dam (120 acres) is a new place to research. George gives his interest in the Thomas property to Deaver Thompson (colored). The property and person needs to be researched further. We know Sue Comer is a cousin from researching extended family. She inherits the Suber place. This property needs to be researched to find out when and how George acquired it. A seven room house in Columbia, SC on 928 Pine was left to Mrs. W. W. Cassels. This is interesting now because we had not prior knowledge the George owned property outside of Union County. George Epps owns another property on 2204 Pendleton in Columbia, SC which he wills to Mrs. Tucker Cassels. Further research needs to be completed on both his relationship to this person and the history of this property. George Epps also owns a house on 2213 Pendleton in Columbia, SC which he wills to his first cousin, Bernard Sanders. We are elated to discover another person closely related who was not mentioned previously. The identity of the parents of Bernard needs to be determined. Property at 2215 Pendleton in Columbia, SC goes to Mr Tucker Cassels, a son of Ben Cassels. We need to determine if he is a relative. A lot and three new houses on Pine Street goes to George Anderson Tucker (colored) who is actually the son of George Epps Tucker, but he does not acknowledge this specifically in the will. 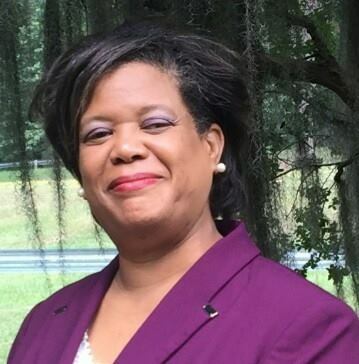 It is rare to find a will of a former slave holding family that mentions formerly enslaved people being granted an inheritance, but it is virtually non-existent to find documentation of those people of color being blood-related prior to the death of the parent. We will take a breather here and let you digest all these unbelievable details about property and people in this will. In the next post, we will finish citing the remaining clues. Are you able to think of other avenues to research from the details we have shared above? There is so much information here, we may have missed something. This illustrates why you need to come back to a record again and again to see what you overlooked and to glean more after you have extensively exhausted each possible avenue of research. Share your thoughts on the Facebook thread for this post.